A couple of weeks ago Oprah aired an episode about she and her staff taking a one week challenge to be vegan. Great! I am happy that such a respected and well-watched celebrity would do something like that, and bring veganism to a wide audience. I missed most of the show and only caught the ending so I went to her website so check out some clips and see what she had up. It was great, for the most part, but I do have a few critiques. Sometimes, I ask them to think about what they ate for their past few meals. Then, I asked them to eat that without meat/cheese/eggs. Sometimes you can’t just remove the animal product, but you need to replace it with something. Kathy Freston, author of The Veganist and the driving force behind Oprah’s challenge, had some good substitutes on Oprah’s Web site. The NCVA also has a thorough listing of substitutions, including ratings and where to buy them. The hard work has already been done for you! The grocery list on Oprah’s site is a bit ridiculous. How many of us have the funds to support such a crazy grocery bill? You don’t need to buy organic to be vegan. 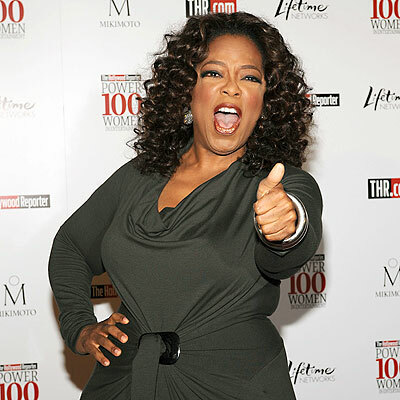 Although, it is sometimes healthier for you and the planet (only if the food doesn’t travel 2000-km to get to you), it’s a little unreasonable of Oprah to mostly include organic brand names on her shopping list. 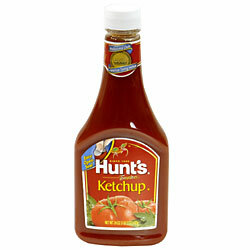 The last time I checked, normal Heinz Ketchup or even No-Name is just as vegan as Annie’s Natural Organic Ketchup! If we want everyone to consider a vegan lifestyle, we should include things that everyone has access to. How many of us have regular access to a Whole Foods? No, most of us shop at the local Food Basics and pick up the specialties at Market Organics, Herb and Spice, or Rainbow Foods. While many vegans make an effort to buy organic, it is not accurate to imply that eating vegan requires buying only expensive organic specialty products. So, I suggest doing your research as to what you can afford and what you want to spend on food. Something that I always tell people is that it’s much cheaper to buy dried beans and rehydrate them yourself than to buy the canned stuff. It is also healthier because there is less sodium. Organic tofu is cheaper than almost any meat out there. And lentils are very cheap, but a nutritional powerhouse. For more info speak to a vegan friend, colleague, or an NCVA volunteer. We can steer you in the right direction. Just email us at ncva.avcn@gmail.com.